Architecture graduate student Yuan Liao designed this kinetic structure. Such structures can be folded into smaller volumes for storage or transport. 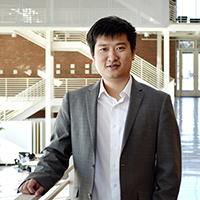 Liao is a semifinalist in the Graduate College’s Image of Research contest. CHAMPAIGN, Ill. – As an architecture student, I am trained to think about structures made of concrete, steel and wood. 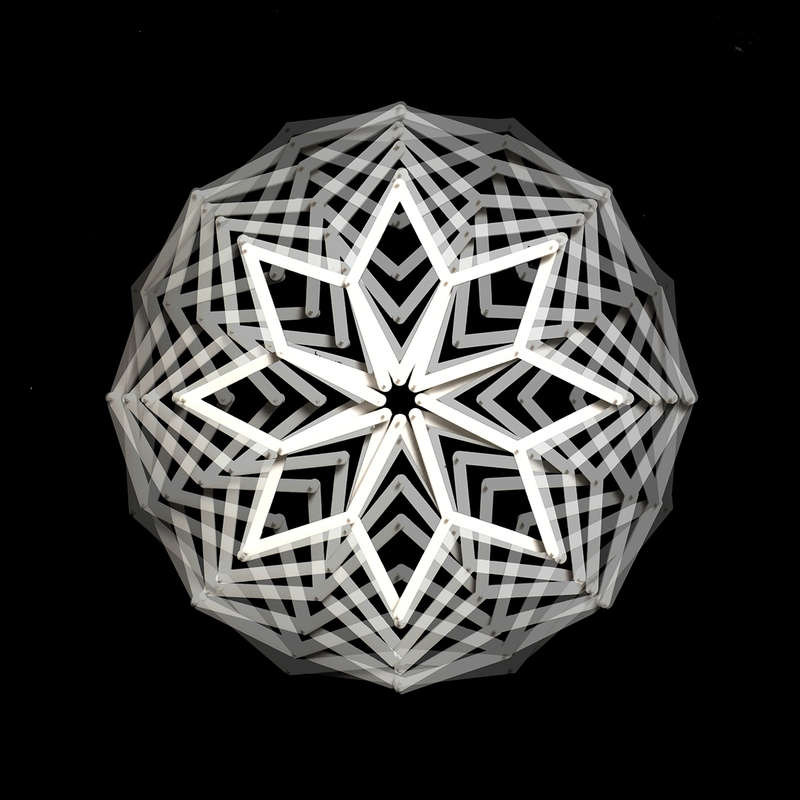 Until recently, the structures I designed were typically static – until I came across a whole new world of kinetic structures. I learned that almost any form can be given mobility and deployed by calculating its geometry accurately and by strategically selecting the joints to allow rotation. As the first exercise in my graduate structures course, I was asked to design an eight-sided expandable ring using scissor-type units. The image above shows the radial deployment and kinematic trajectory of the ring from the top view. It captures the intermediate position of the members and joints during motion. During radial motion, the position of the joints becomes more difficult to predict. This is called position analysis, which is the fundamental step to more advanced mobility analysis of deployable structures. 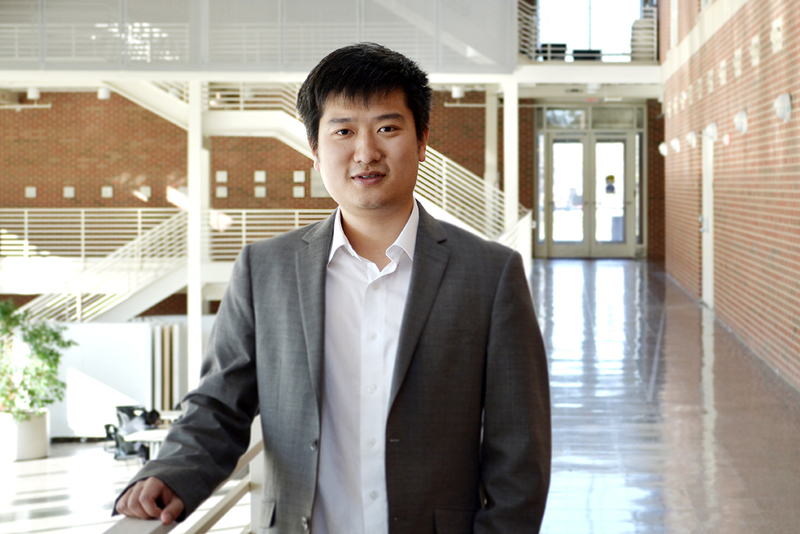 Liao hopes to apply what he is learning to the design of emergency shelters. This project triggered my interest in researching more complex deployable forms and thinking about how to apply them to the design of buildings. I am currently working on the design of emergency shelters using these kinds of structures, which are lightweight, transportable and rapidly deployable. 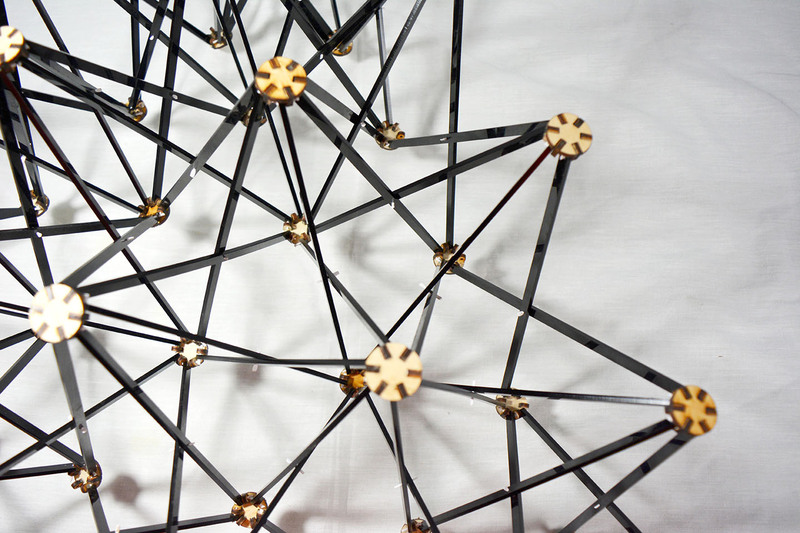 Yuan studies deployable structures with architecture professor Sudarshan Krishnan. The Image of Research is organized by the Scholarly Commons of the University Library and the Graduate College, and is supported by a gift from the Division of Intercollegiate Athletics. To see all 20 semifinalists and for more details about the competition, go to the #imageofresearch18 Instagram account.